Based on the favorable and accommodative Tanzania investment climate, the Bank of Africa Group (BOA) has recently announced its commitment to increasing its presence and strength in the East African country. “We are very proud of our presence in this beautiful country,” said Mohamed Bennani, President of the BOA, who spoke at the recent cocktail party in Dar es Salaam that was held in honor of the directors and customers of the Bank of Africa Group. According to Mr. Bennani, based on the peace and tranquility of Tanzania in combination with the fact that it is a large country that is currently experiencing significant growth as well as the overall political stability and democratic discipline of the country, Tanzania presents a conducive and convincing environment for investment. The Group President went on to express his belief that, by working closely with both the public and private sectors within the country, the BOA can achieve profitable results that will be mutually beneficial. The four-day board meetings for the Bank of Africa Group countries in East African and Indian Ocean regions began earlier this week with representatives from eight countries including: Burundi, Democratic Republic of Congo, Djibouti, Ghana, Kenya, Madagascar, Uganda, and the host-country of Tanzania. According to the Managing Director of the Bank of Africa Tanzania, Ammish Owusu-Amoah, acting as host for the meeting that would allow the local business community to network, exchange ideas and interact with the bank’s financial experts was an honor. “Our bank is committed to bring to Tanzanian financial sector an unparalleled variety of products so that it becomes a one stop shop for the financial needs of customers,” said Owusu-Amoah. 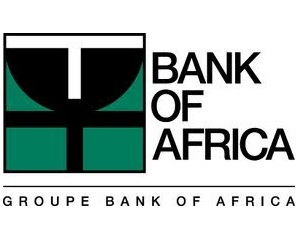 Altogether, the Bank of Africa Group has operations in 15 countries including the seven West African branches of Benin, Burkina Faso, Ghana, Ivory Coast, Mali, Niger and Senegal; the six East African branches of Burundi, Djibouti, Kenya, Madagascar, Tanzania and Uganda; as well as a branch in the Democratic Republic of the Congo and a branch in France. Apart from its 14 commercial banks, the BOA Group also boasts ownership of a finance company, a housing bank, a leasing company, one brokerage firm, two investment firms and a management company. In 2011, the balance sheet for the BOA Group grew by 19.5 percent to reach a total of USD 5.4 billion while, at the same time, deposits also increased by 13 percent to reach a total of USD 4 billion and credits increased by 17.7 percent to reach a total of USD 2.7 billion, all of which contributed to a net profit increase of seven percent to reach a total of USD 60 million.